Congratulations! As a recent graduate from an accredited post-secondary institution, you could be eligible to receive a $500 rebate toward the purchase or lease of a new Kia vehicle with the Kia “Ride On” Grad Program. a three-year CEGEP D.E.C. program in Quebec. Recognized schools include all post-secondary institutions that are accredited by a provincial Ministry of Education. Vehicle must be registered (RDR and licensed) in the name of the graduate; the graduate cannot be co-signer. Rebate can be used to reduce the selling price of the vehicle (before taxes). The applicant must meet the required terms and conditions. Some conditions apply, please see your dealer for complete details. Kia Canada welcomes the opportunity to assist individuals who require adaptive aid to drive a Kia vehicle by providing them a rebate of up to $750 towards the purchase and installation of specialty equipment on your Kia vehicle. To qualify, the customer must provide original documentation from a licensed medical professional in the customer’s province of residence, clearly detailing the customer’s existing permanent disability. As a tribute to the men and women of the Canadian Forces, Kia Canada is proud to offer a $500 rebate toward the purchase or lease of a new Kia vehicle. Customers may be active (or reserve) member of the Canadian army, navy, or air force or inactive (retiree) personnel to qualify. Military I.D. must be provided as proof. Military Cadet does not qualify for the program. Offer may only be transferred to a spouse or common law partner, but is otherwise not transferable at all. Some conditions apply, please see your dealer for additional details . Are you a first time car buyer? It has never been easier to drive a brand new Kia, thanks to the First Time Vehicle Buyer Program. Car buyers with no prior finance history can take advantage of a $500 credit towards the purchase of their new vehicle. Some restrictions apply. See your local Kia dealer for full details. 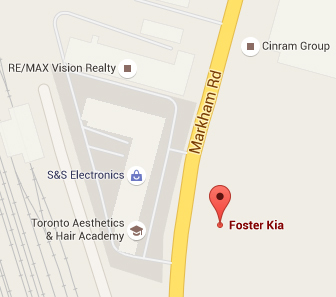 By submitting your email address or phone number, you allow us, Foster Kia, to include you on our contact lists to send you information about our products, services and promotions. You may revoke consent at any time by clicking on the "Unsubscribe" link in your email.